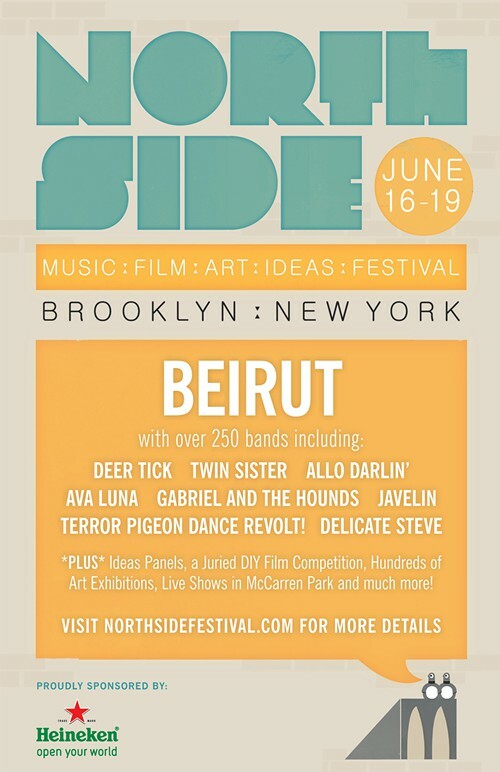 As previously reported, Brooklyn’s Northside Festival returns for its third incarantion June 16-19. At a press conference earlier today, organizers detailed some of this year’s festivities: Beirut (w/ Sharon Van Etten) will deliver a headlining performance at the 5,000-capacity McCarren Park, while Twin Sister, Deer Tick, Allo Darlin’, Javelin, Ava Luna, Delicate Steve, and The Terror Pigeon Dance Revolt are among the 250 other act playing across Brooklyn’s many venues. We’re also pleased to announce that we’ve again teamed up with Northside for a showcase (details are forthcoming). 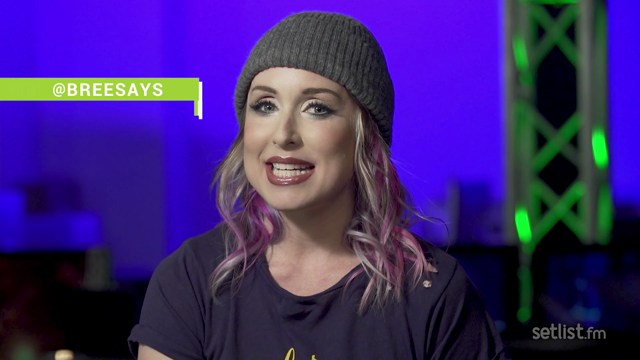 This year will also feature a DIY Film Competition for shorts and features. The finalists’ works will be screened at UnionDocs in Williamsburg before producer Ted Hope, Brooklyn hero Todd P, and other jury members. Four-day, all-ages badges will go on sale Friday, March 10th at 10AM EST for a limited-time price of $60. Individual tickets to the all-ages Beirut and Sharon Van Etten show at McCarren Park on June 17th are available for $25 advance / $30 day of the show. You can purchase tickets here.